Wondering exactly how the space spounds from SSFX were made? Or what people think they sound like? Dr Martin Archer delves into all the comments you’ve had about these weird sounds, which may help inspire their use in your films. You can see the infographic of all the comments here. You may have seen SSFX floating around online and the media recently, as the idea of us living within a massive musical instrument has captured people’s imaginations. Articles about this can be found on the Daily Mail, IFL Science, Yahoo, and Science Alert among others. Our next SSFX video will be about your comments on what space sounds like. Are any of them right in a scientific sense? Stay tuned to find out! Thanks to everyone who commented on our space sounds telling us what they thought they sound like. We had such a wide range of responses as can be seen in the infographic below. 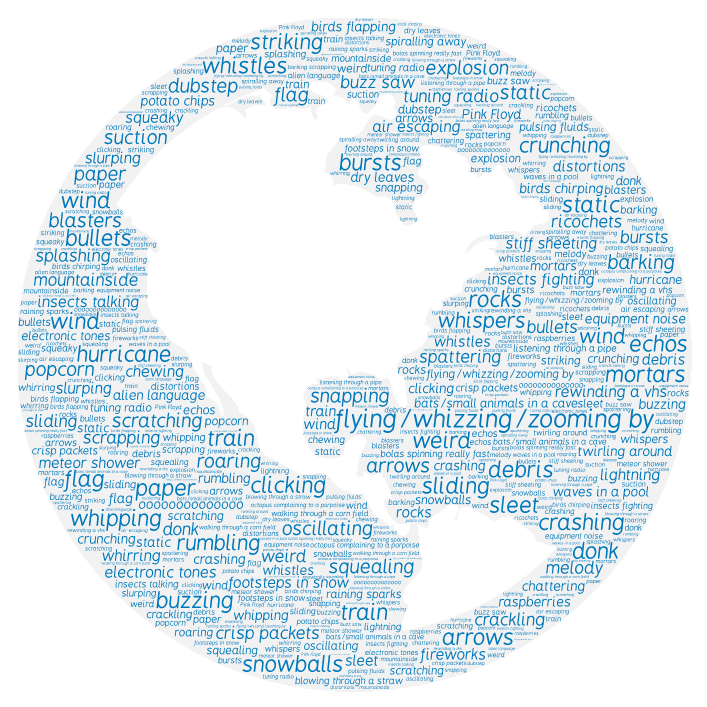 You can add your comments on what space sounds like to you any time on our Soundcloud playlist.